I've been travelling for the past few days, and it's included some seriously long flights! I've come to have an intense appreciate for this one little bit of skincare. It's saved my life quite a few times now! 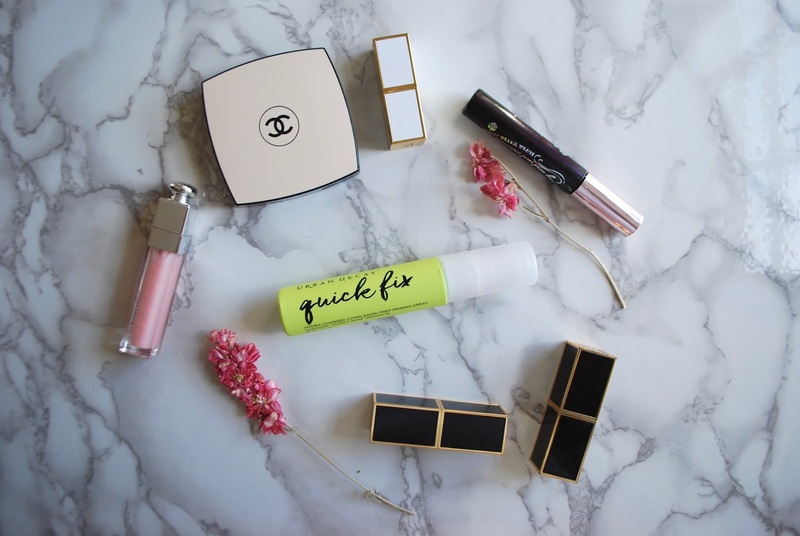 It's the Urban Decay Quick Fix Priming Spray. It's a skincare spray that has niacinamide and vitamin B6. I have the travel size, which is 30ml, so it fits through airport security and into my handbag as well. It's also quite thoughtfully designed in that it features a double cap system to prevent it from exploding in your bag. I personally use this as more than just a priming spray. Don't get me wrong--it works brilliantly in that respect. It preps the skin beautifully and minimises the appearance of pores. I have no idea how it does that as a spray, but it works! I also love using this in a few other ways, too. As a makeup finishing spray, it knocks back any "powdery" texture and gives a nice, gentle glow to the skin (without the shine). I also love spritzing this on if I don't have time to do my full skincare routine before applying makeup. It also works great during a flight to calm, soothe, and hydrate my skin. Niacinamide is great for redness! The only thing I don't love (although my husband does) is that it smells like coconut. The good news is that the fragrance fades within a minute. I say go for it. Start with the travel size to see if it works for you. I should say that I have dehydrated skin that still manages to get breakouts, and it never makes my skin look more oily than I'd like. If you've got seriously oily skin, you might want to steer clear and head for a more mattifying spray. Plus: it's only £10! 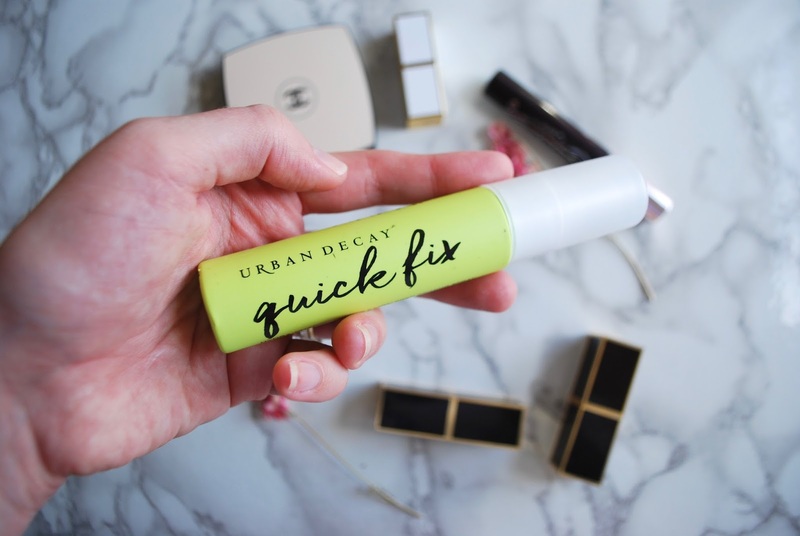 Have you guys tried the Urban Decay Quick Fix Priming Spray? What are your favourite products for travelling?